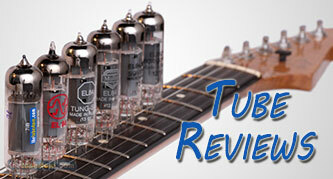 News, views and reviews from the world of audio vacuum tubes. 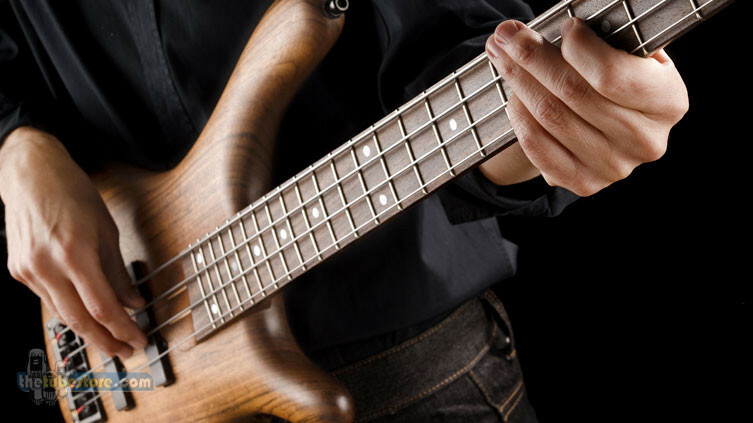 Here’s a great post from our friends over at www.thebassplace.com that we thought you might like. We all know that regular practice is the key to improvement on our axes, but I’ve noticed that very few of my students actually have a practice method that maximizes the available time. A thorough discussion of how to practice is beyond the scope of a short blog post, but I do have five basic tips that might be of use. Warm Up Your Body and Instrument – There are many different ways to warm up. If your time is limited you might warm up by reviewing tunes from your repertoire that you are relatively familiar with. Playing through scales and arpeggios slowly is another approach, as are chromatic exercises and right hand technical workouts. How much time you need for warm up depends on how regularly you are practicing and how much you are playing. I would also include stretches in this time. This is the time when you are making sure that you are both physically and mentally in practice mode and it may be as short as five minutes or as long as thirty. Focus On Learning Something New – Playing songs you already know is not practicing. Practicing is either perfecting something that you currently are not playing at your best or learning a new piece of music or a new technique or concept. Ideally you will always be learning a new piece of music, learning new scales, chords and arpeggios, and transcribing something new. Your practice session should be split between working on new repertoire and working on new technical material. Or if you practice in small time increments multiple sessions per day, you can split it up by session. Practice as much as you can and remember that regular practice sessions are more effective than cramming a huge session in once a week. Practice is a daily routine. Review – Reviewing songs or concepts you’ve learned is not practice, but it is critical. Keep a repertoire list and play through it, marking the tunes off as you go so that you play through everything. If you know a lot of tunes it might take a while to get through them all. If you review a tune and find out that you don’t know it, then it needs to be practiced daily until you know it again. Keep a similar list for technical material such as scales, chords and apreggios. I like to print out paper copies of my rep list as well as my technical list so that I can cross things off as they are completed. Know What You Are Practicing – You can’t practice two things at once, but most people don’t realize that they are constantly trying to do just that. If you are working on right hand technique, don’t do it on a brand new scale. Similarly, if you are learning a new scale, start by simply memorizing the shape and playing it slowly over and over again. No need to go fast unless you are working on speed, in which case you should be doing that by slowly speeding up something that you know well. This is why it is so important to know your scales and to have a good right hand technique. Whenever you are playing you are doing at least two things at once and usually more, so everything except for one of those things needs to be something you already know. Scales are a tool for practicing other concepts. If you are working on knowing where the notes are on your instrument, you should play them slowly and say the notes out loud. If you are working on right hand technique, don’t worry about the names of the notes that you are playing. Once you are clear about what one thing you are practicing, it becomes much easier to improve. Use A Metronome – Do you think you have a great sense of time? You might, or you might not. The metronome is like your best friend who always calls you on your BS. The one who you just can’t lie to because it has known you forever and sees right through your excuses. There are very few things that you can practice that can’t be improved on with a metronome. Another great thing about the metronome is that it is quantitative. If you can play your pentatonic scales at 120 bpm today, maybe tomorrow you should shoot for 130. By the way, if you are one of those people who thinks they can’t play with a metronome, that is also something that can be practiced. Start with the metronome at a high speed and play a single note for every four clicks, then slow it down and play a note for every two clicks. Once you are comfortable there, slow down again and play a note for every click. Slow it down further and play two notes per click, then three, then four. Again, you can only practice one thing at a time, so practicing a new scale with a new right hand technique as your first foray into metronome use is a bad idea. The above suggestions are based on my own experience. Your practice needs to fit into your life, but if you take your playing seriously and want to be the best player you can be, then you will need to take your practicing seriously as well, which means both setting time aside as well as using that time wisely and well. Good luck! there’s no way you will not improve your playing just following those simple tips.